One night as I was cruising the Internet for ideas, I stumbled upon this recipe for Roast Beef Stock on the Bon Appétit website that sounded pretty good. 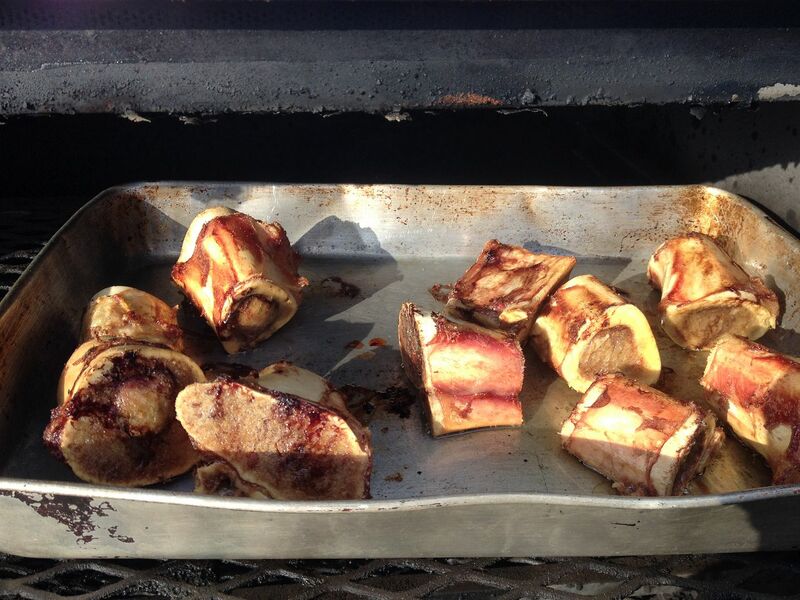 I thought I would give it a go with one modification, roasting the bones in my smoker to add a little smoke flavor to the future broth. Here is the process laid out. 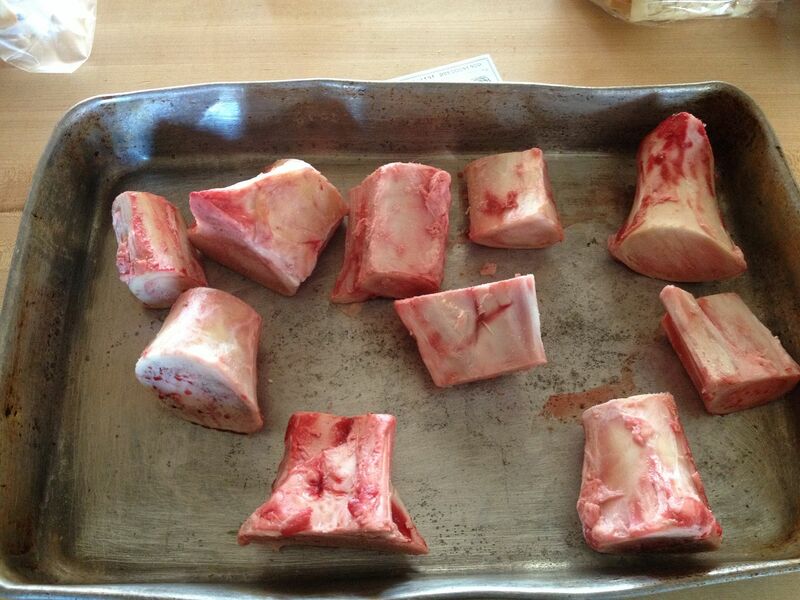 First, you need five pounds of beef or veal marrow bones from your butcher. Dirt cheap usually. We bought five pounds for about $7.50. Remember to ask your butcher to cut them in half or quarters so that you have more marrow surface area exposed for that caramelized goodness. I lit my smoker and brought to 450 F, placed some pecan in the ash pan for smoke flavor, then placed the pan on the top rack. The recipe calls for 30 minutes of roasting time. While waiting, I went inside and prepared my veggies. 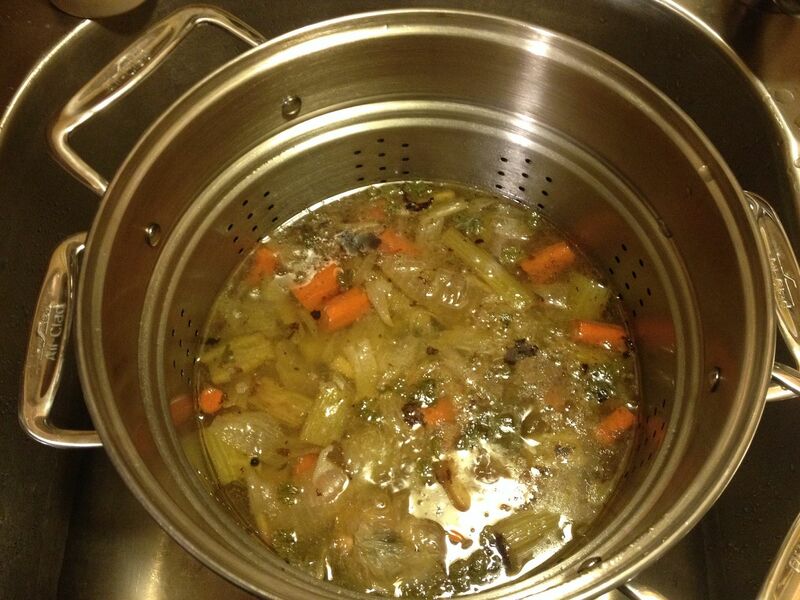 Quartered sweet onion, celery, one head of garlic, and carrots (yes, they are hiding on the bottom) go into this stock. After the bones had their first 30 minutes of roasting time, I went out and placed the veggies in the pan and allowed the whole mix to roast for 30 more minutes. I was a little worried that there was not enough crusty brown on the veggies or the bottom of the pan, but I pressed forward. 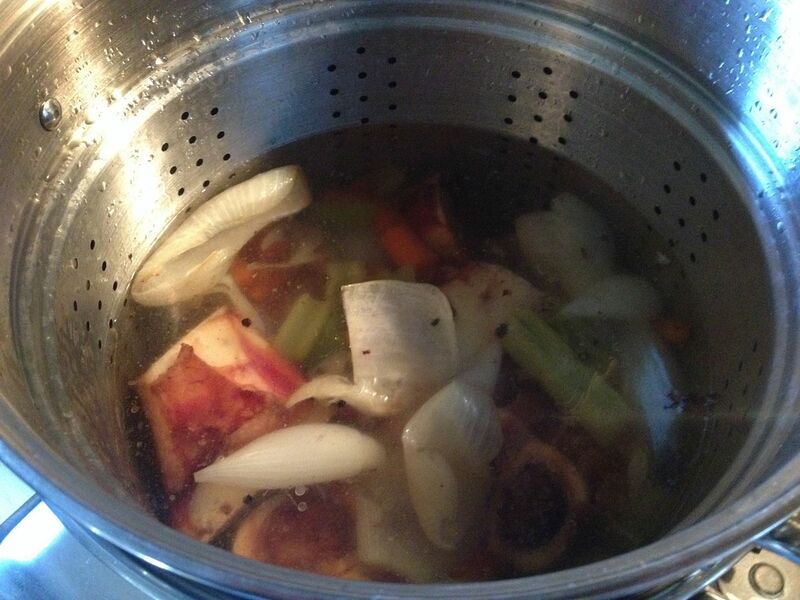 I transferred everything into my stock pot then added enough water to cover everything. While I was bringing this mix to a boil, I added two cups of water to the pan and scraped what little caramelization there was off the bottom. Once that was done, I transferred this liquid into the pan. Once at a boil, I reduced the heat and let simmer on low for four hours. 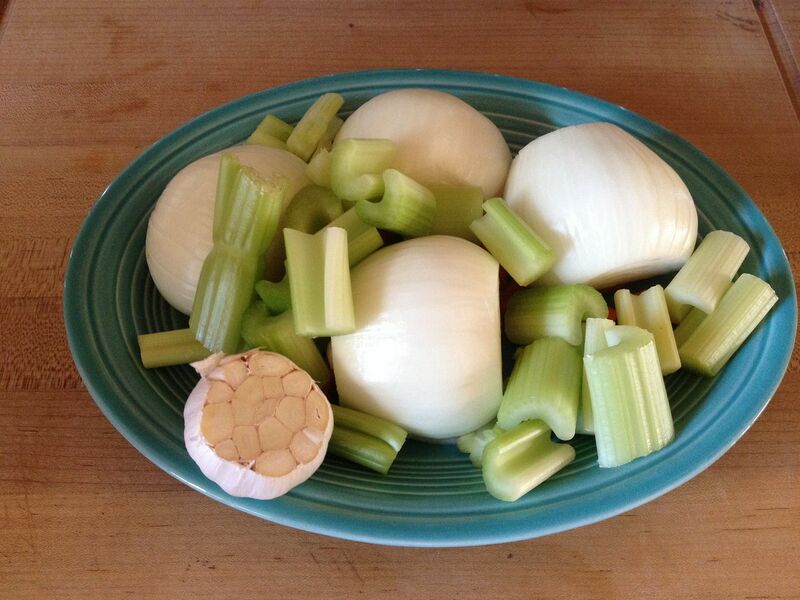 Warning, do not make this broth if you are hungry. We were tortured during the four hours of simmering with a beefy, smoky flavor that had me craving some sort of beef. We took a pint of this liquid and turned into gravy to try it out. 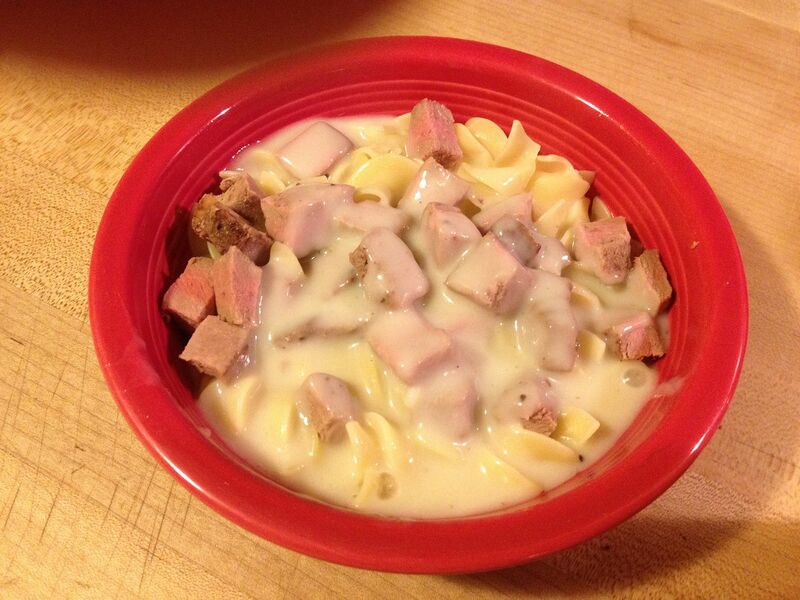 First, we placed onside leftover trip-tip and egg noodles. 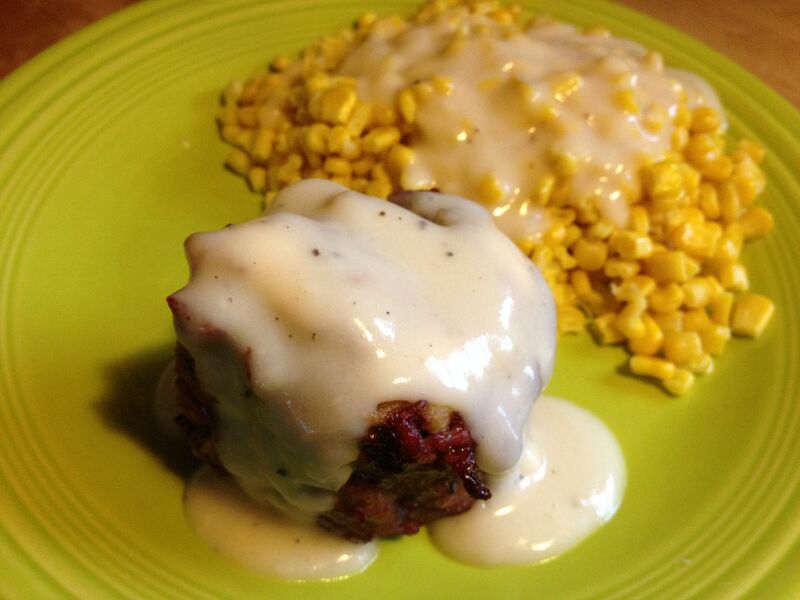 The next day we ladled the gravy over some grilled stuffed flank steak, an impulse buy at the butcher. Here is our total yield, minus a pint for the gravy: seven pints and two half gallons. Once cool, I placed in the freezer for future use. I was hoping for more of a deeper color, but I will correct that by roasting a bit longer on the smoker. 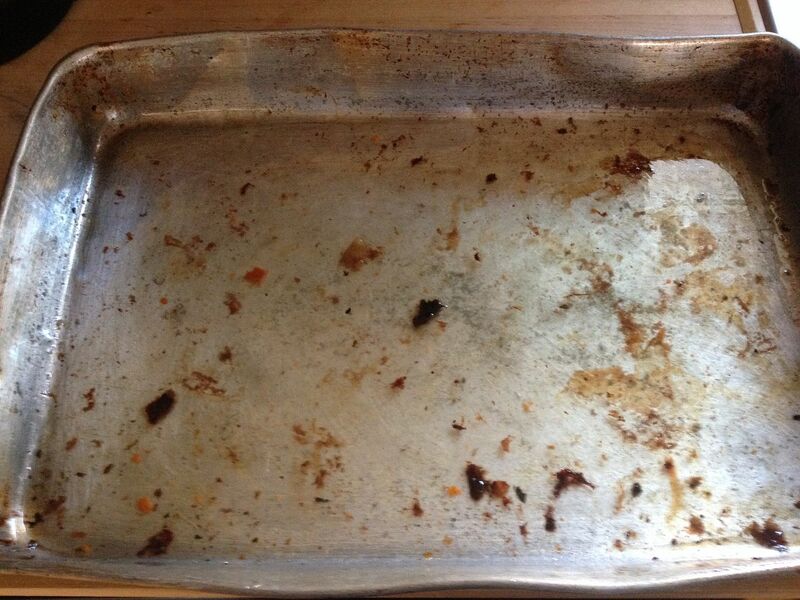 The smokiness was detectable, but not overpowering. 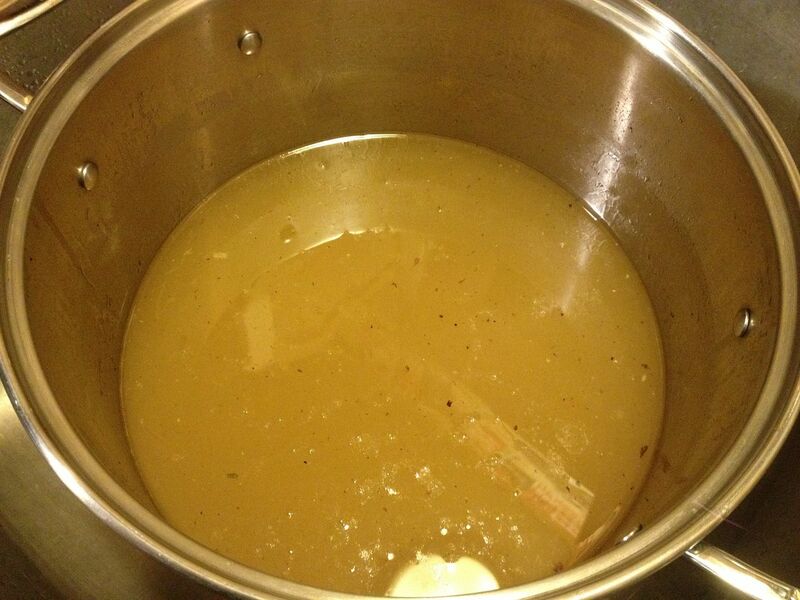 This broth made a killer gravy that will find its way to our next roast beef. 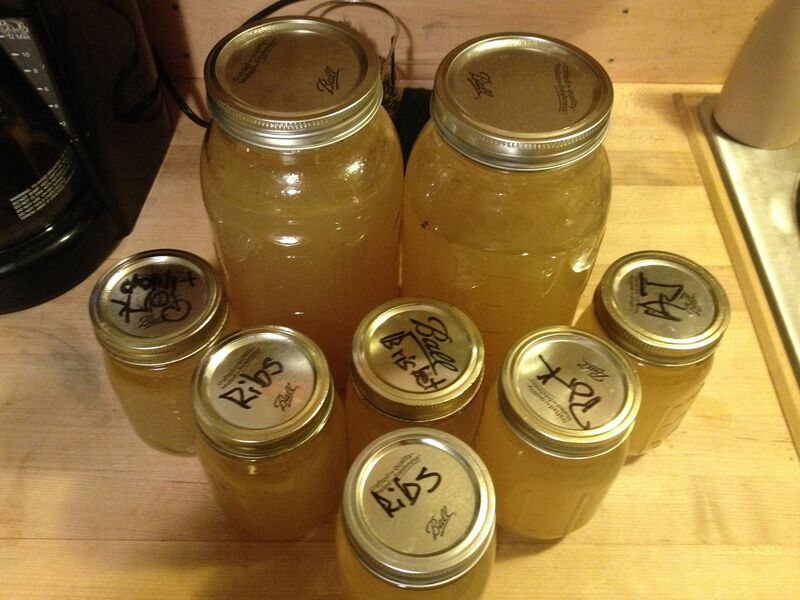 I also have some plans for a few soups and perhaps even a brisket injection. This is good stuff. Click on the link above and give this a try. I was wondering if the smoke would over power. I bet the broth is great stuff. Bones are no longer dirt cheap around here. Hipsters like them. 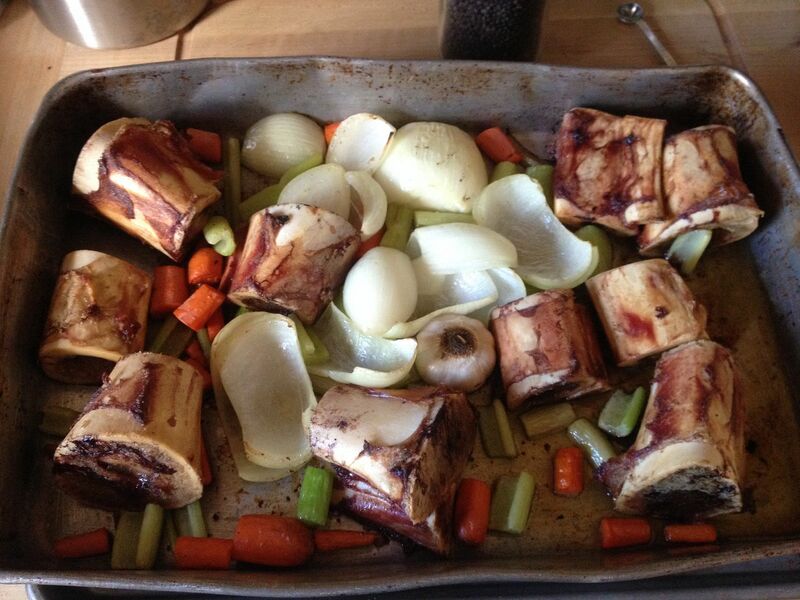 Chilebrown, this broth is going to make a killer onion gravy for our Christmas prime rib!